We are a diverse group of local people dedicated to helping the community—giving something back to society by giving of our time and skills, while enjoying the fellowship of like-minded friends. The Rotary Club of Horsham is a charity fundraising organisation, based in the vibrant town of Horsham in West Sussex, where the Club has been supporting the community since 1923. We raise money through local events and collections for local and international causes, including natural disasters. We’re the people who bring you Funday Sunday – the biggest community event in Horsham! Our members join together in a wide range of social events, such as theatre visits, walks, meals out and informal sports. You can have fun and make friends while helping others. The meetings are held weekly, and members attend as often as they can. 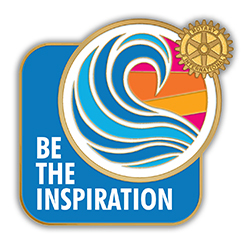 Another way to participate is through the Friends of Rotary – individuals who want to contribute to Rotary but may not choose to become a full member at this time. Horsham also supports Rotary Interact clubs based in local schools and designed for students aged 15 to 19 years. If you are interested in joining us or would like to know more about Rotary and our Club, please use the Contact Us link to get in touch.